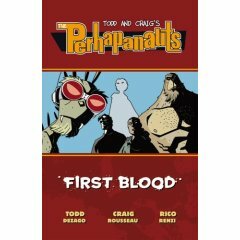 anyway, a couple of things, not the least of which is that the first perhapanauts trade, first blood, is currently up on amazon dot com http://www.amazon.com/gp/product/159307607X/sr=1-1/qid=1147231110/ref=sr_1_1/002-0872853-1037600?%5Fencoding=UTF8 for your amusement and pre-ordering fun! not that you shouldn't patronize your own local comic shops...but these DO make great gifts, so why not buy one from each? as i've said, there's a buncha new stuff inside! not just the gorgeous pin-ups from nick cardy, guy davis, rich woodall and matt talbot, david williams, chris brunner, and yes, kevin nowlan, but an introduction and pin-up by mike wieringo, all new bedlam files (with secrets and surprises galore!) and the newly--and beautifully--colored early stories "7 months earlier" and "fiepick"! and amazon is only asking 10 and change for it...?! oh, buy two! 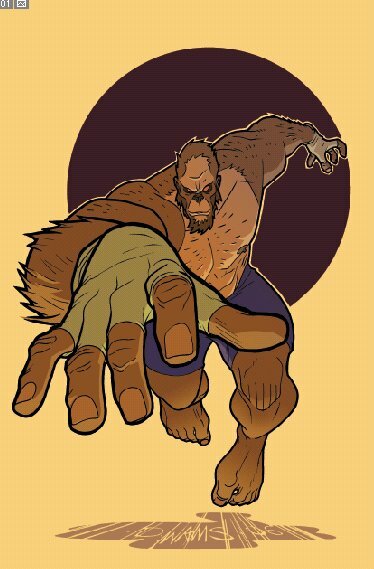 i ran david antione williams pin-up last week without really giving him all the props i could 'cause i was racing. my apologies, dave. aside from a lot of card work and pieces in dc's who's who back in the day, david has done a considerable amount of work for warner bros. and is even more proud of his upcoming creator project, "hail". here's his pin-up again, for those you you who may've missed it or have been dying to take another look at it again. thanks david, for the pin-up and your patience. Guy Davis!!!!!! Man, I love his work! Can't wait to see that one, Todd! The trade is looking great! but guy is one helluva swell cat!